New York State’s official mammal, the beaver is unmistakable due to its large body size (26-65 pounds, 25-35 inches) and broad flattened tail (9-10 inches long, 6 inches wide), not to mention the characteristically altered habitat in which it resides. 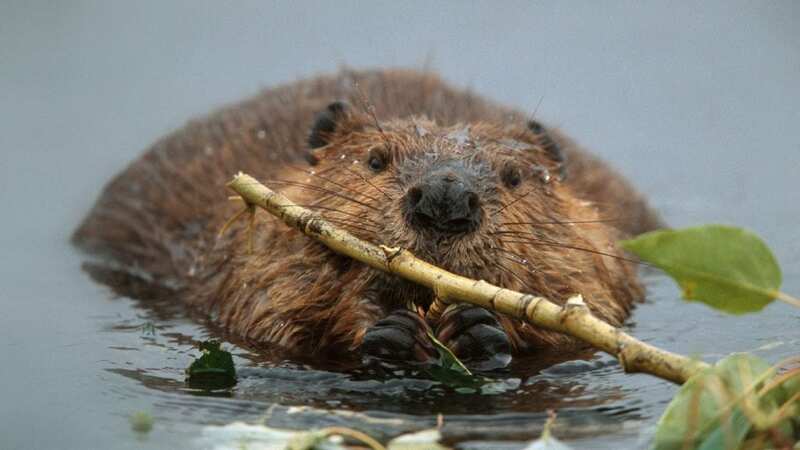 Characteristics unique to the beaver include a nictitating membrane, or a secondary internal, opaque inner eyelid, valvular ears and nose, and lips that close behind the incisors, thereby allowing a beaver to gnaw underwater. Large incisors are continuously growing and are kept at a manageable length by the gnawing action beaver use to procure food. Their rich, dense fur ranges in color from yellow-brown to almost black. Webbed hind feet serve to compliment the extraordinary swimming ability of the beaver, and the second hind toe has a split nail, purportedly for grooming purposes. Although the beaver’s tail is flat, primarily to aid in swimming and to navigate aquatic habitats, it serves other purposes as well. The tissue beneath the scaly outer layer, which is actually compressed, aggregated hairs, is highly vascularized at its base, and serves as a thermoregulatory tool. Blood is shunted from the surface of the tail, thereby minimizing heat loss. It also serves as a means for fat storage.